Hello dear artists. Most you played GTA, many of you played GTA Vice City, and all of you know the charismatic main character of this legendary game Tommy Vercetti. 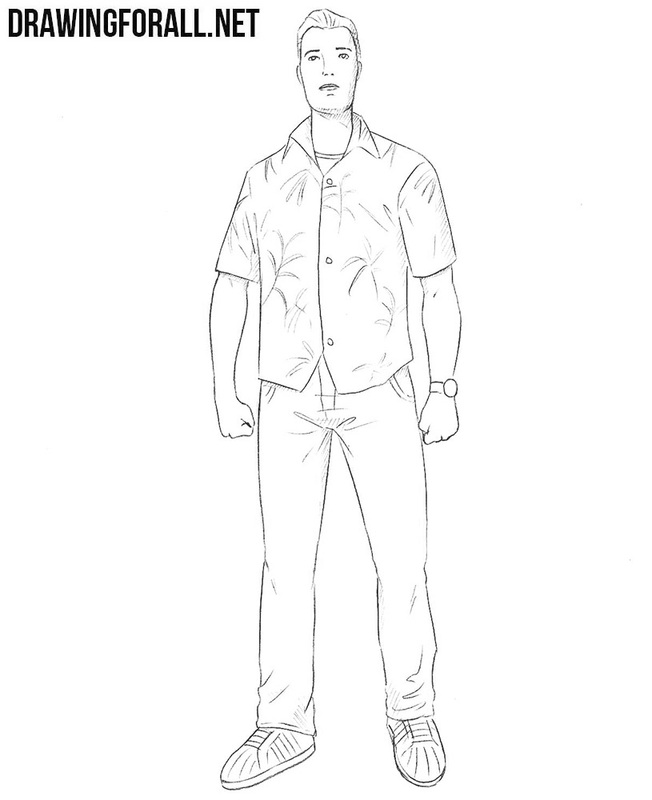 So, as you already guessed today we will show you how to draw Tommy Vercetti. We cannot imagine a human without a skeleton, and we cannot imagine a drawing of a man without it’s carcass. So using very light lines draw the head of our character in a shape of an oval. Then draw a long spine. On the spine we draw a chest and pelvis. 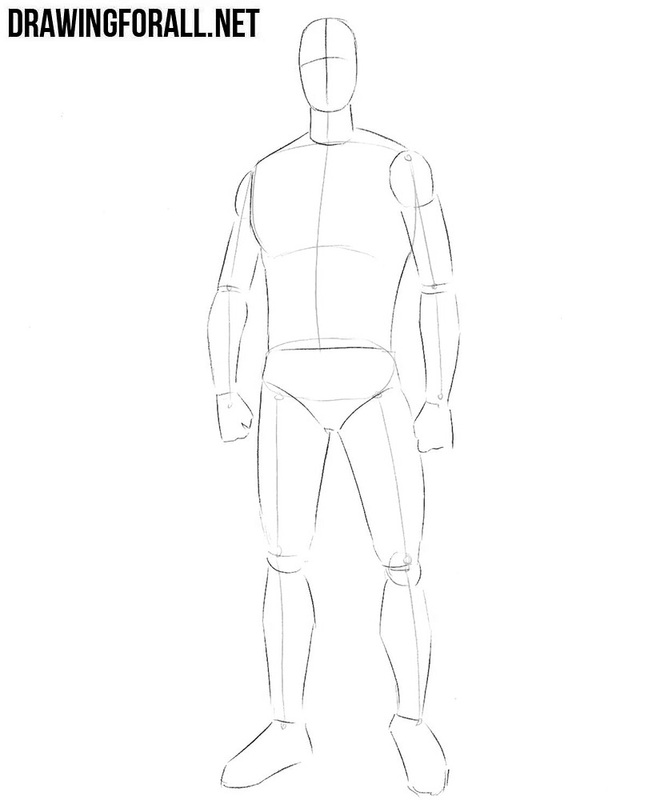 And at the end of the step we are sketching out the arms and legs. Here we add some flesh to the skeleton of Tommy Vercetti. 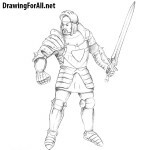 First draw the lines on the face that will help us to draw the facial features in further. Then using cylindrical figures draw the neck, arms and legs. 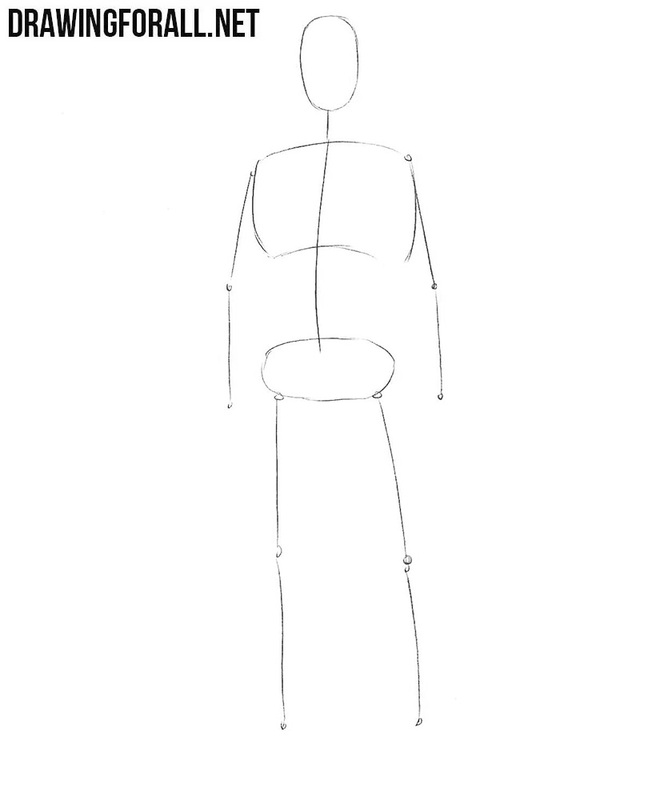 Draw the torso that narrows to the waist and triangular pelvis. Let’s start working with details. At the head draw the outlines of the haircut. A little lower draw the eyebrows and eyes that located on the horizontal line. On the vertical line draw the nose and mouth.move a little lower and sketch out the outlines of the shirt and pants. Now let’s work with final details. Carefully draw out the hair, contours of the face and features of the face as in our example and erase all unnecessary guidelines from the head. 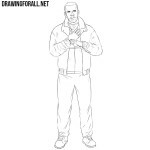 Continue the drawing tutorial about how to draw Tommy Vercetti from GTA. Draw out the shirt, erase all unnecessary guidelines from the torso. Add buttons and and some folds as in the example below. Erase all the guidelines from the arms and draw out them making clear and smooth (don’t forget to draw a watch). Here we do approximately the same as in the previous step. 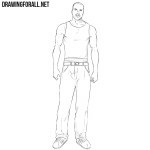 Draw out the pants and erase all the guidelines from them. Add seams, pockets and folds to the jeans. Draw the sneakers (to learn more visit lesson about sneakers) and move to the next step. Now let’s draw the patterns on the shirt of our Tommy Vercetti. 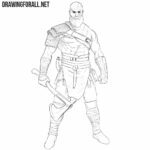 Use hatching to add some shadows. By the way, we described in detail the principles of drawing shadows in the lessons about grapes and orange. So, dear artists, we finally made the lesson on how to draw Tommy Vercetti from GTA. 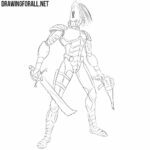 If you want to see more video games characters visit our drawing lesson in our category “Games”.